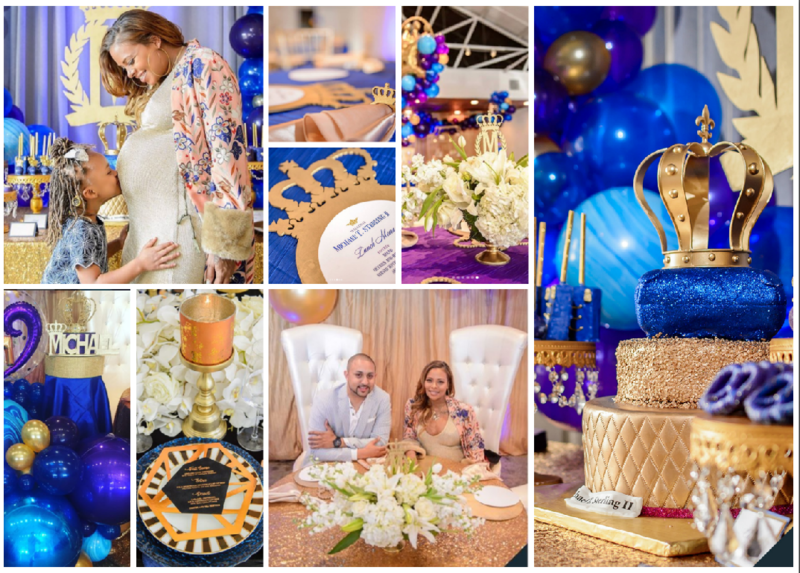 Bravo TV‘s Real Housewives Eva Marcille and her fiance attorney Michael Sterling celebrated the impending arrival of their first child together at a Royal-themed baby shower this past weekend. The event was covered by US Weekly this week. The couple also announced the name of the baby at the event, Michael Sterling II. Marcille enlisted the help of her longtime friend Andrae Crenshaw from Drae Shaw Entertainment who hosted the bash at Atlanta venue 433 Bishop in near the Buckhead neighborhood. 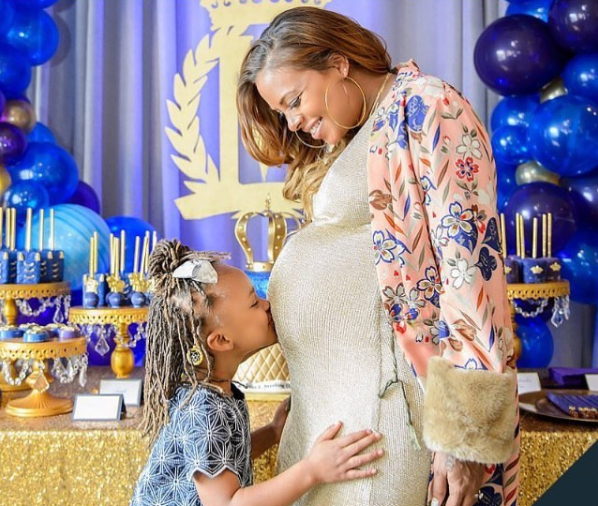 The America’s Next Top Model Cycle 3 winner’s daughter Marley with ex Kevin McCall took a super cute photo hugging her baby brother through her mom’s bump. Balloons and Things provided the balloon decorations. Paper Menus were provided by Papered Wonders.